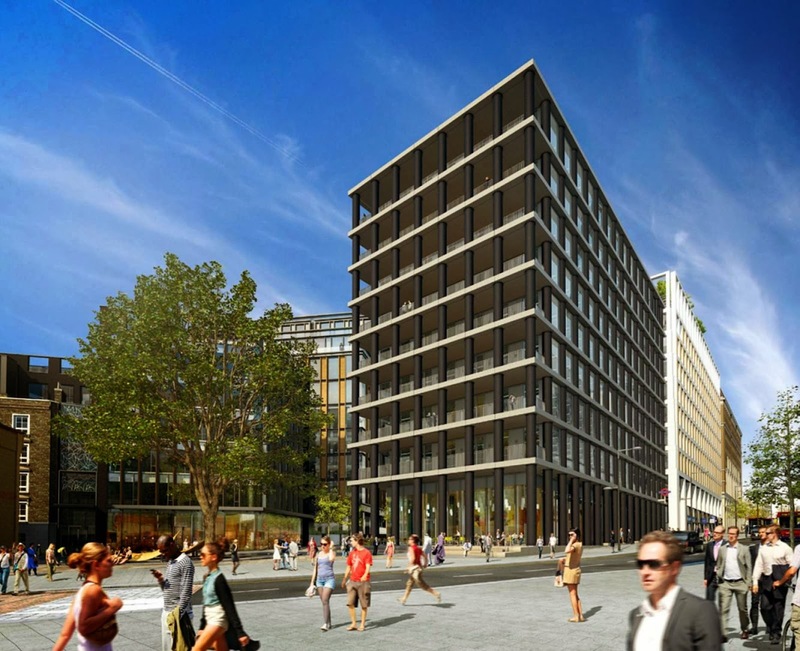 Gridiron, One Pancras Square, is an island building overlooking Battle Bridge Place, King’s Boulevard and Pancras Square in London. 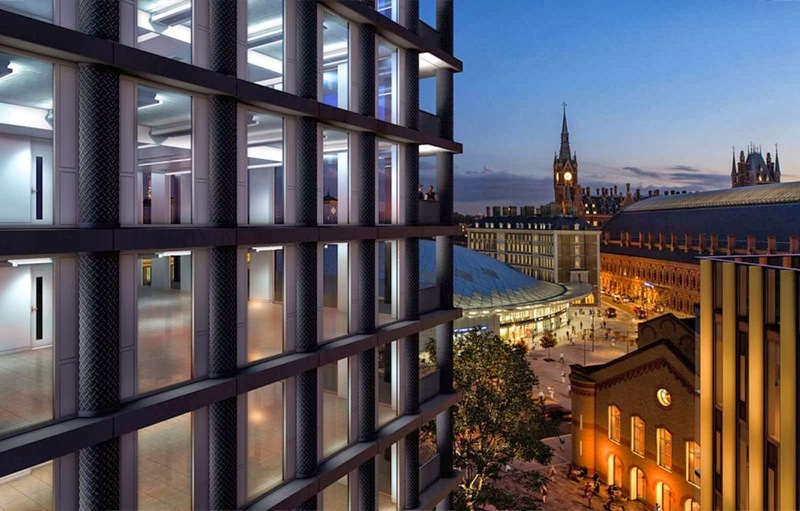 Designed by David Chipperfield Architects and set for completion in the first half of 2014. 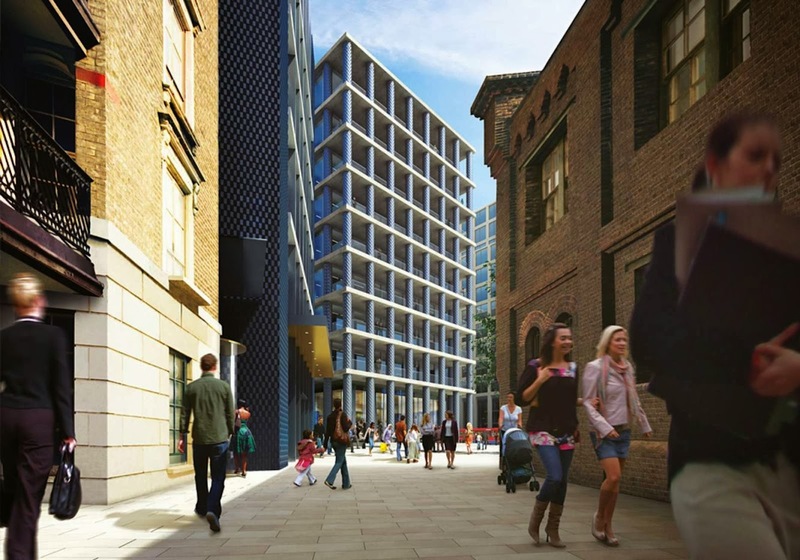 This Grade A island office building has a prime spot at the gateway to the King’s Cross development. Connections here are unrivalled and the new underground entrance is in the building itself. 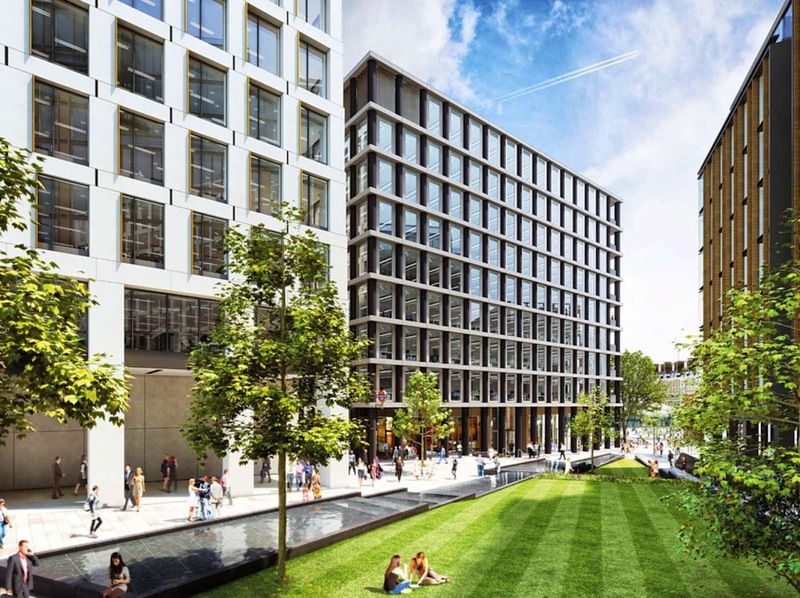 The reception can be accessed from either King’s Boulevard, a tree-lined, bustling, pedestrian friendly ‘high street’ or from the tranquility of Pancras Square. A double-height colonnade surrounds the building. Distinctive and elegant pendants light the way. 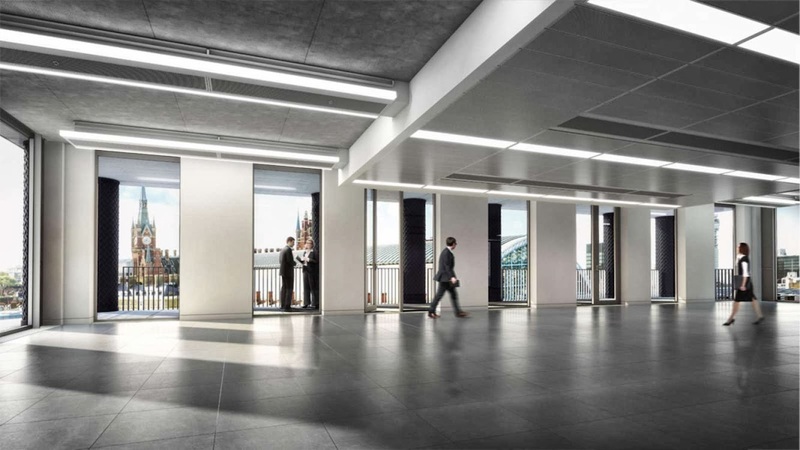 On the north-east corner of Gridiron, within the colonnade, there are escalators leading down to the London Underground network – so, no need to risk the weather going to and from work. in addition there is 4,000 sq ft of ground floor retail. 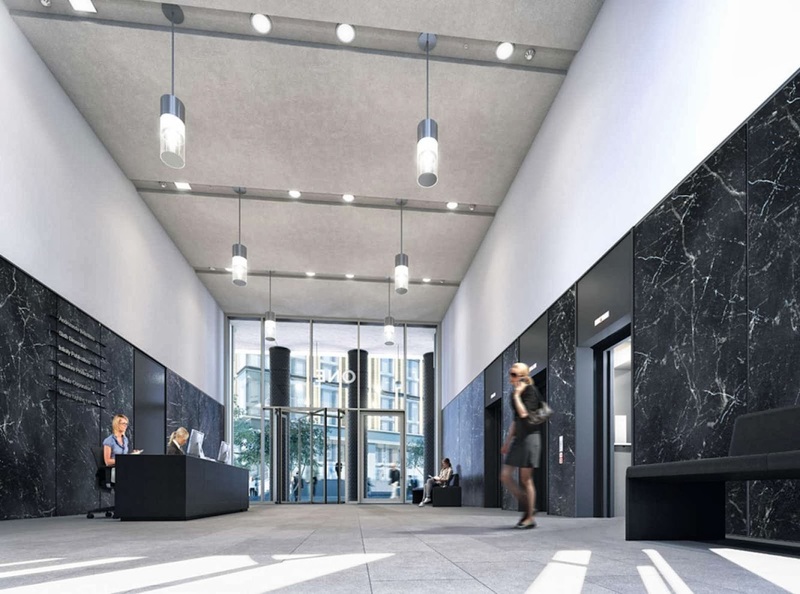 The double height, double entrance reception takes its cue from the outside – Italian ‘Grigio Carnico’ black marble walls, feature lighting and precast concrete floors. Collectively, they set the tone for a space that is both cool and serene. An unhurried welcome awaits staff and clients alike. And going up, three 13 person passenger lifts finished in blackened stainless steel take you to any one of the upper floors. Typically each floor measures 7,050 sq ft, and has a south facing 600 sq ft covered balcony.